FleurDanielle: Blogmas #21 | Christmas Inspiration from Pinterest. Blogmas #21 | Christmas Inspiration from Pinterest. Hey everyone! So if you didn't already know I am a huge fan of pinterest. I've always been a huge fan of these photo inspiration sites. A few years ago it was all about Tumblr but that was when I wasn't actually blogging properly and was still studying at college and university. Since starting a blog it has been all about Pinterest for me. There is so much inspiration on there for different DIY products and even just standard pictures that you can look at and just recreated things from. Enjoy! I absolutely love the collage of photos above. I love that the first picture above gives you an idea of how you can decorate your fireplace with the stockings hanging up and the ribbon in the centre of the fire place too. I think it just looks so classic and elegant! I love the bottles in the second picture as well. I think that this would be great if you are having a few friends round, you can just make hot chocolate and serve it in milk bottles with some candy cane coloured straws. Really classy and elegant I think. The third picture I think would be great if you have some spare Christmas lights and jars lying about. I think this will be perfect for those of you looking to decorate your rooms as this is a very cheap and affordable away of doing that but it will still make your room look very pretty and festive. You can also leave these in your rooms all year round. Fairy lights aren't just for Christmas! I love this wrapping paper as well for Christmas. I love the Santa costume theme. I have tried looking online because I wanted to include a link here but I was never able to find one. Maybe if you guys look yourselves you might be able to find it. Let me know if you do! I couldn't think of a better last hurrah with your friends before Christmas to be honest. I absolutely love this idea. 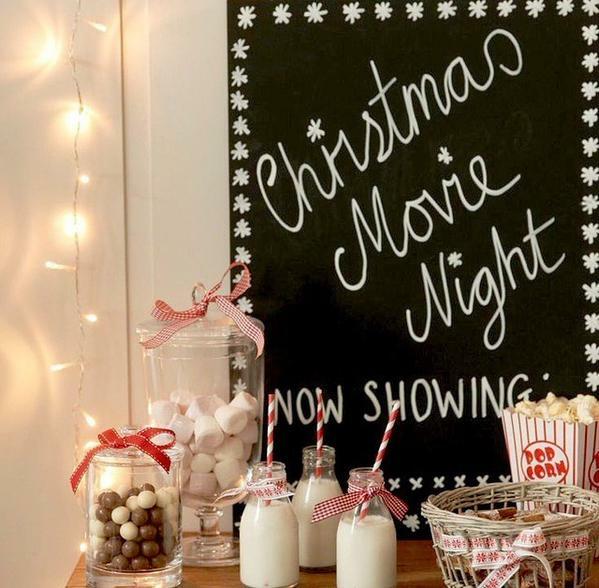 Create your own Christmas movie night sign or whatever theme your get together is. 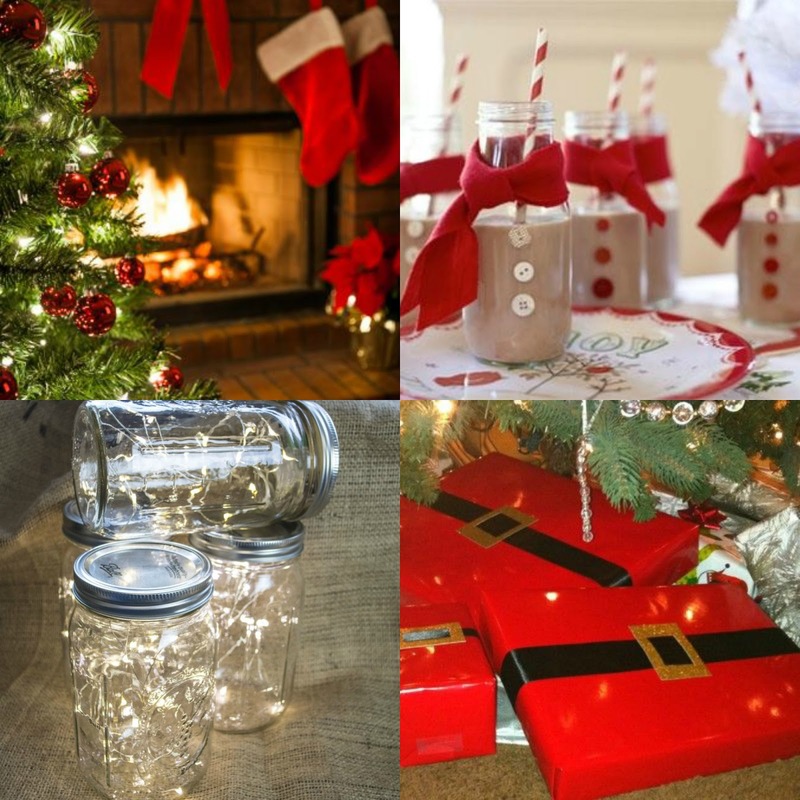 Get some glass bottles and add some chocolates, marshmallows and any other Christmas treats you can think of in a jar and get a selection of Christmas movies ready. I absolutely love these ideas. 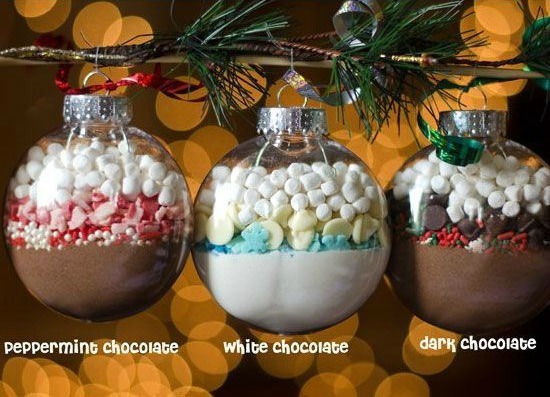 The first one with the hot chocolate mixes into baubles is such an amazing idea and I believe that if you are stuck on present ideas still but know someone who loves hot chocolate this would be absolutely perfect for them. If you didn't want to use baubles you could just substitute them with normal jars and put the mix in them. Might be easier for the recipient to get the hot chocolate out but I love this idea. I don't actually know what the next photo is but I think this would be another great gift idea or just a fab Christmassy treat for yourself and your friends or family. 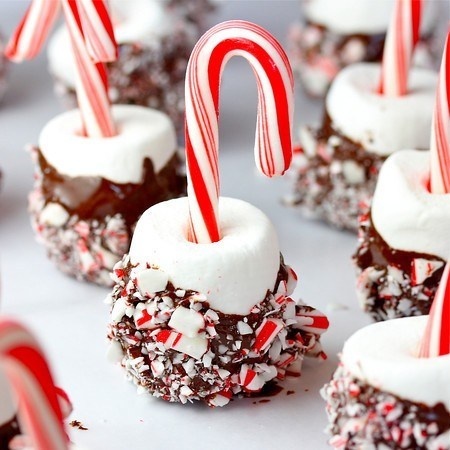 I don't actually know what they are but I guess you could use marshmallows and dip them in chocolate and then stick bits of candy cane onto the melted chocolate and stick a candy cane through the top of the marshmallow. Such a simple easy and quick treat to make. As you can tell I absolutely love pinterest. I just think for this time of the year especially if you are stuck on ideas for present ideas or maybe want to decorate your room or house a bit more for Christmas that is the place to go for inspiration. You can find my pinterest HERE. Do you use pinterest? What are your favourite things to look for on there? Leave your links below!